The Chinese way of appreciating a painting is often expressed by the words du hua, “to read a painting.” How does one do that? Consider Night-Shining White by Han Gan (1977.78), an image of a horse. Originally little more than a foot square, it is now mounted as ahandscroll that is twenty feet long as a result of the myriad inscriptions and seals (marks of ownership) that have been added over the centuries, some directly on the painted surface, so that the horse is all but overwhelmed by this enthusiastic display of appreciation. Miraculously, the animal’s energy shines through. It does so because the artist has managed to distill his observations of both living horses and earlier depictions to create an image that embodies the vitality and form of an iconic “dragon steed.” He has achieved this with the most economical of means: brush and ink on paper. This is the aim of the traditional Chinese painter: to capture not only the outer appearance of a subject but its inner essence as well—its energy, life force, spirit. To accomplish his goal, the Chinese painter more often than not rejected the use of color. Like the photographer who prefers to work in black and white, the Chinese artist regarded color as distraction. He also rejected the changeable qualities of light and shadow as a means of modeling, along with opaque pigments to conceal mistakes. Instead, he relied on line—the indelible mark of the inked brush. The discipline that this kind of mastery requires derives from the practice of calligraphy. Traditionally, every literate person in China learned as a child to write by copying the standard forms of Chinese ideographs. The student was gradually exposed to different stylistic interpretations of these characters. He copied the great calligraphers’ manuscripts, which were often preserved on carved stones so that rubbings could be made. He was also exposed to the way in which the forms of the ideographs had evolved: their earliest appearance on bronzes, stones, and bones about 1300 B.C. (known today as “seal” script, after its use on the red seals of ownership); their gradual regularization, culminating with the bureaucratic proliferation of documents by government clerks during the second century A.D. (“clerical” script); their artful simplification into abbreviated forms (“running” and “cursive” scripts); and the fusion of these form-types into “standard” script, in which the individually articulated brushstrokes that make up each character are integrated into a dynamically balanced whole. Over time, the practitioner evolved his own personal style, one that was a distillation and reinterpretation of earlier models. The practice of calligraphy became high art with the innovations of Wang Xizhi in the fourth century. By the eleventh century, a good hand was one criterion—together with a command of history and literary style—that determined who was recruited into the government through civil service examinations. Those who succeeded came to regard themselves as a new kind of elite, a meritocracy of “scholar-officials” responsible for maintaining the moral and aesthetic standards established by the political and cultural paragons of the past. It was their command of history and its precedents that enabled them to influence current events. It was their interpretations of the past that established the strictures by which an emperor might be constrained. And it was their poetry, diaries, and commentaries that constituted the accounts by which a ruler would one day be judged. These were the men who covered Night-Shining White with inscriptions and seals. Their knowledge of art enabled them to determine that the image was a portrait of an imperial stallion by a master of the eighth century. 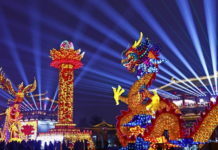 They recognized that the horse was meant as an emblem of China’s military strength and, by extension, as a symbol of China itself. And they understood the poignancy of the image. Night-Shining White was the favorite steed of an emperor who led his dynasty to the height of its glory but who, tethered by his infatuation with a concubine, neglected his charge and eventually lost his throne. The emperor’s failure to put his stallion to good use may be understood as a metaphor for a ruler’s failure to properly value his officials. This is undoubtedly how the retired scholar-official Zhao Mengfu intended his image of a stallion, painted 600 years later (1988.135), to be interpreted. Expertise in judging fine horses had long been a metaphor for the ability to recognize men of talent. Zhao’s portrait of the horse and groom may be read as an admonition to those in power to heed the abilities of those in their command and to conscientiously employ their talents in the governance of their people. When an emperor neglected the advice of his officials, was unjust or immoral, scholar-officials not infrequently resigned from government and chose to live in retirement. Such an action had long been understood as a withdrawal of support, a kind of silent protest in circumstances deemed intolerable. Times ofdynastic change were especially fraught, and loyalists of a fallen dynasty usually refused service under a new regime (1973.120.6; 2014.721). Scholar-officials were at times also forced out of office, banished as a result of factionalism among those in power. In such cases, the alienated individual might turn to art to express his beliefs. But even when concealed in symbolic language, beliefs could incite reprisals: the eleventh-century official Su Shi, for example, was nearly put to death for writing poems that were deemed seditious. As a result, these men honed their skills in the art of indirection. 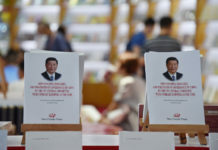 In their hands, the transcription of a historical text could be transformed into a strident protest against factional politics, illustrations to a Confucian classic became a stinging indictment of sanctimonious or irresponsible behavior (1996.479). Because of their highly personal nature, such works were almost always dedicated to a close friend or kindred spirit and would have been viewed only by a select circle of likeminded individuals. But since these men acted as both policy makers and the moral conscience of society, their art was highly influential. 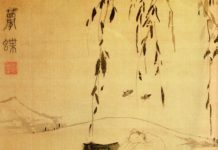 Scholar-official painters most often worked in ink on paper and chose subjects—bamboo, old trees, rocks—that could be drawn using the same kind of disciplined brush skills required for calligraphy. This immediately distinguished their art from the colorful, illusionistic style of painting preferred by court artists and professionals. Proud of their status as amateurs, they created a new, distinctly personal form of painting in which expressive calligraphic brush lines were the chief means employed to animate their subjects. Another distinguishing feature of what came to be known as scholar-amateur painting is its learned references to the past. The choice of a particular antique style immediately linked a work to the personality and ideals of an earlier painter or calligrapher. Style became a language by which to convey one’s beliefs. Zhao Mengfu epitomized the new artistic paradigm of the scholar-amateur. A scholar-official by training, he was also a brilliant calligrapher (1989.363.30) who applied his skill with a brush to painting. Intent on distinguishing his kind of scholar-painting from the work of professional craftsmen, Zhao defined his art by using the verb “to write” rather than “to paint.” In so doing, he underscored not only its basis in calligraphy but also the fact that painting was not merely about representation—a point he emphasized in his Twin Pines, Level Distance (1973.120.5) by adding his inscription directly over the landscape. Zhao was a consummate scholar, and his choice of subject and painting style was carefully considered. Because the pine tree remains green through the winter, it is a symbol of survival. Because its outstretched boughs offer protection to the lesser trees of the forest, it is an emblem of the princely gentleman. For recluse artists of the tenth century, the pine had signified the moral character of the virtuous man. Zhao, having recently withdrawn from government service under the Mongols, must have chosen to “write” pines in a tenth-century style as a way to express his innermost feelings to a friend. His painting may be read as a double portrait—a depiction of himself and also of the person to whom it was dedicated. Since scholar-artists employed symbolism, style, and calligraphic brushwork to express their beliefs and feelings, they left the craft of formal portraiture to professional artisans. Such craftsmen might be skilled in capturing an individual’s likeness (59.49.1), but they could never hope to convey the deeper aspects of a man’s character. Integrating calligraphy, poetry, and painting, scholar-artists for the first time combined the “three perfections” in a single work (1989.363.33). In such paintings, poetic and pictorial imagery and energized calligraphic lines work in tandem to express the mind and emotions of the artist (1989.363.39). Once poetic inscriptions had become an integral part of a composition, the recipient of the painting or a later appreciator would often add an inscription as his own “response.” Thus, a painting was not finalized when an artist set down his brush, but it would continue to evolve as later owners and admirers appended their own inscriptions or seals. Most such inscriptions take the form of colophons placed on the borders of a painting or on the endpapers of a handscroll or album; others might be added directly on to the painting. In this way, Night-Shining White (1977.78) was embellished with a record of its transmission that spans more than a thousand years. As the arbiters of history and aesthetic values, scholars had an immense impact on taste. Even emperors came to embrace scholarly ideals. Although some became talented calligraphers and painters (1981.278), more often they recruited artists whose images magnified the virtues of their rule. Both the court professional and the scholar-amateur made use of symbolism, but often to very different ends. While Zhao Mengfu’s pines may reflect the artist’s determination to preserve his political integrity (1973.120.5), a landscape painting by a court painter might be read as the celebration of a well-ordered empire (1973.120.1). A scholar-painting of narcissus reflects the artist’s identification with the pure fragrance of the flower, a symbol of loyalty (1973.120.4), while a court painter’s lush depiction of orchids was probably intended to evoke the sensuous pleasures of the harem (1973.120.10). 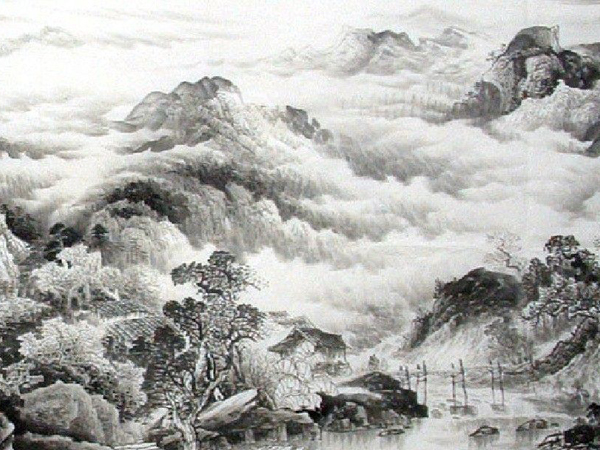 The key distinction between scholar-amateur and professional painting is in the realization of the image: through calligraphically abbreviated monochrome drawing on paper or through the highly illusionistic use of mineral pigments on silk. Amateur and professional alike shared a reverence for the past. Artists would manipulate antique styles (1973.120.6) and reinterpret ancient subjects (1988.135) to lend historical resonance to their work. But the weight of past precedents was also a heavy burden that could make painters acutely self-conscious. Sometimes their solutions were eccentric and challenged the viewer’s ability to judge them by what had preceded them (1986.266.4). At other times, a knowledge of past models made them keenly aware of the illusionistic power of art, the capacity to mimic reality (2005.112a–l) as well as to distort it (1989.363.14). To “read” a Chinese painting is to enter into a dialogue with the past; the act of unrolling a scroll or leafing through an album provides a further, physical connection to the work. An intimate experience, it is one that has been shared and repeated over the centuries. And it is through such readings, enjoyed alone or in the company of friends, that meaning is gradually revealed.